Our corn's not GMO - it's OMG! From our "ears" to yours! Everyone's always asking about The Farm Store's OMG Corn - so we even made a countdown just to let you know the first day it's available! 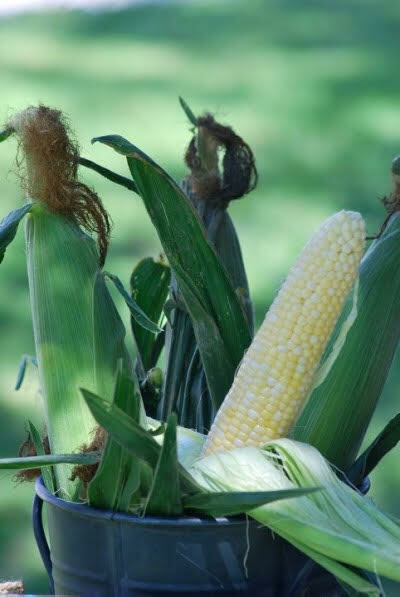 The 10 acres of corn grown by Kenneth on Willow Brook Farm is non-GMO, raised without insecticides, and is planted in eight to ten batches so there's always ripe and ready stalks all throughout the season. Not only that, our super sweet corn is fresh to the store that day, ready to be served for dinner. The key to the can't-get-enough taste and perfect pearl and butter yellow kernels is where it's grown. Love can sprout in strange places, and it's the swamp area that nurtures our corn into such a sweet addition to your plate. The Berkshire loam, soaking in all that good water and nutrients, is what Kenneth calls "just the perfect topsoil."